This Monday takes the cake. I planned to start this week out by meeting my friend Ashley at Starbucks. Little did I expect her and her parents to step out of the car and hand me a big white box with a beautiful leather-bound book inside. 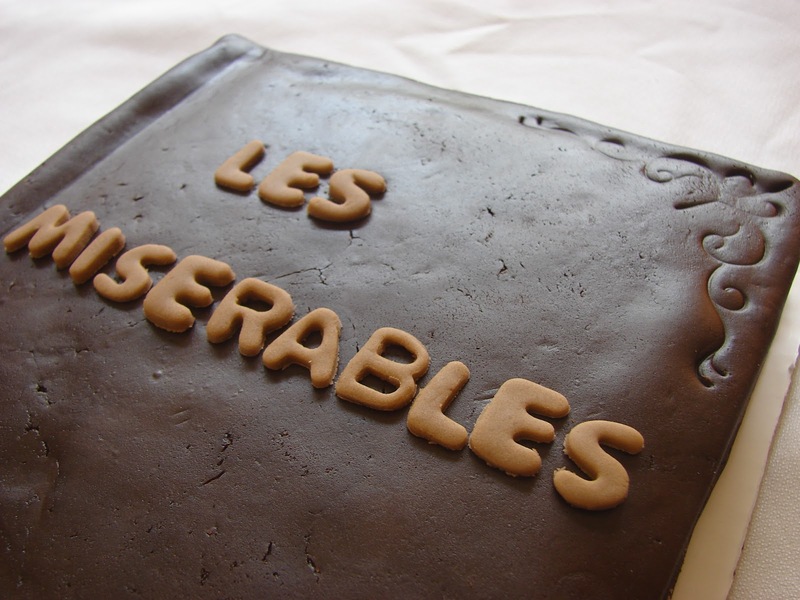 Yes, folks, that is a Les Miserables CAKE. 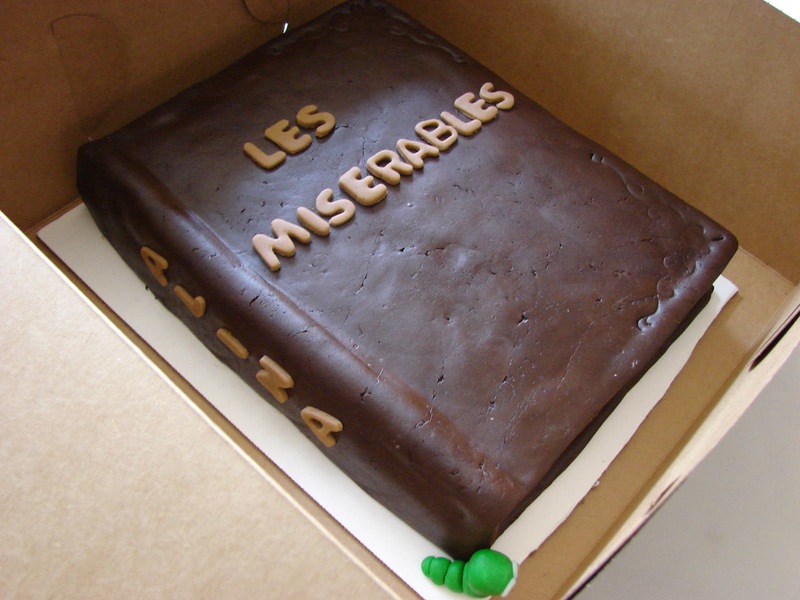 I devoured Victor Hugo’s famous work my senior year of high school, and it’s been one of my favorite books ever since, but I never expected to literally be able to EAT it. 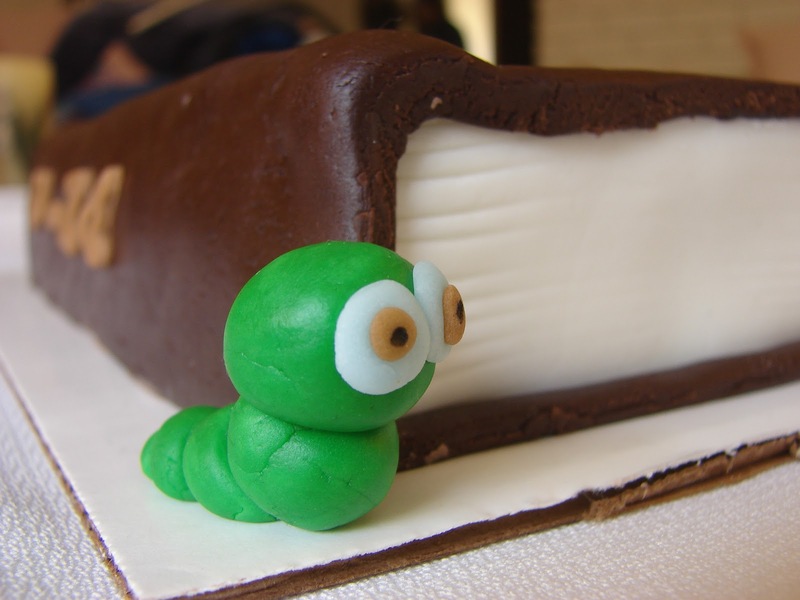 Ashley and her mom Angie are amazing cake artisans (you can check out some of their other jaw-dropping creations here). Look at the incredible details! 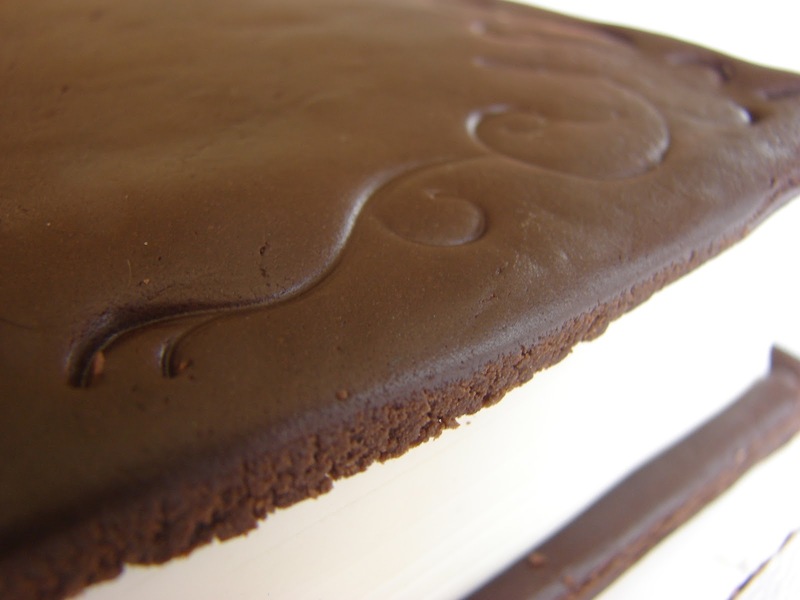 Doesn’t the icing really look like leather? How cool is that? It even has my name on the spine! Thank you, Ashley and Angie, for kicking my week off to a great start. So, did anybody else find a surprise planted in their Monday? Or want to come over for some cake? 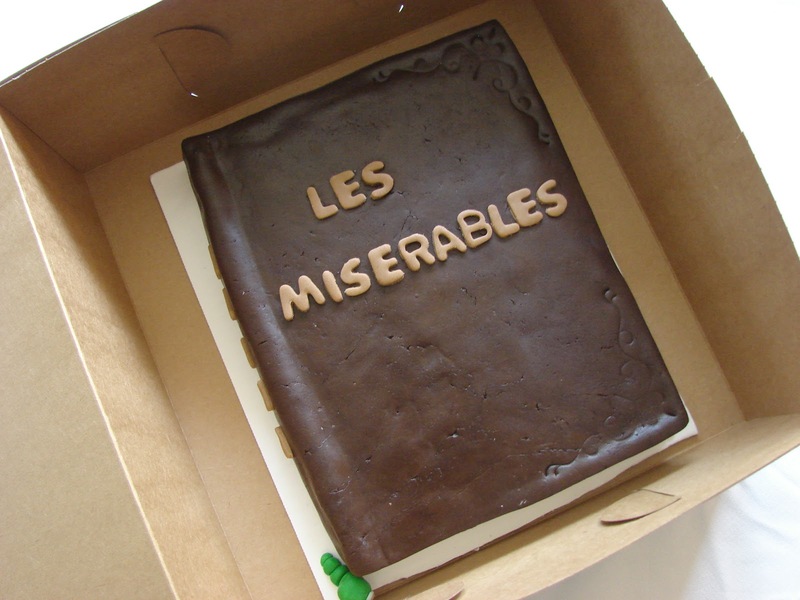 Wow, you read the book in its original French? I considered learning the language JUST for that reason. But I decided the English translation was so good that it wouldn’t be worth it 🙂 I love the musical too! Wow! This might make even Victor Hugo jealous!! 😀 Beautiful work Ashley and Angie!For me, this Monday after Resurrection Sunday is in itself a wonderful gift! Sometimes I forget, and simply ‘expect’ Monday to just show up after Sunday, but really, we don’t ‘earn’ or ‘deserve’ a Monday… TODAY is a wonderful gift from a loving God! Alina, you just happened to get some icing on your cake!! Good point: Monday doesn’t HAVE to come after Sunday. It’s a gift that it does 🙂 Cake is kind of a reminder of that! How cool! I love the little book worm too! I know, isn’t he cute? I want to name him Freddy or something. Yep, that was the hard part. It was almost too pretty to eat…almost. Now that was a thoughtful gift–perfect for a writer/reader. The worm was perfect! Oh that cake looks good! Can you freeze a piece for me to eat when I next come to California? Lots of hugs!